To become a member of NUBSLI you need to join Unite the union. We’ve provided step by step instructions on how to do this below. You can click on any of the images to enlarge them. 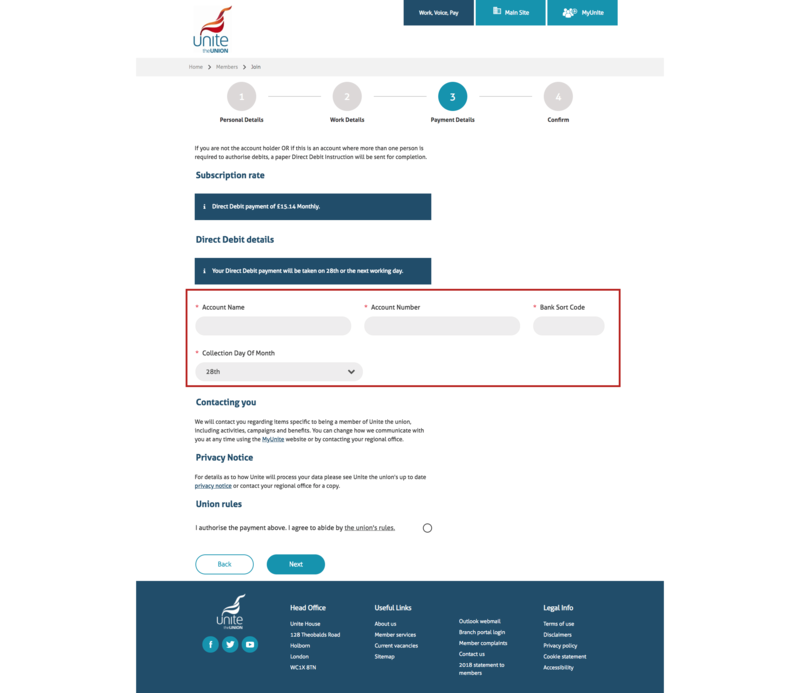 To begin the process, you need to go to Unite’s website. Clicking on the button below will open Unite’s website in a new tab or window. 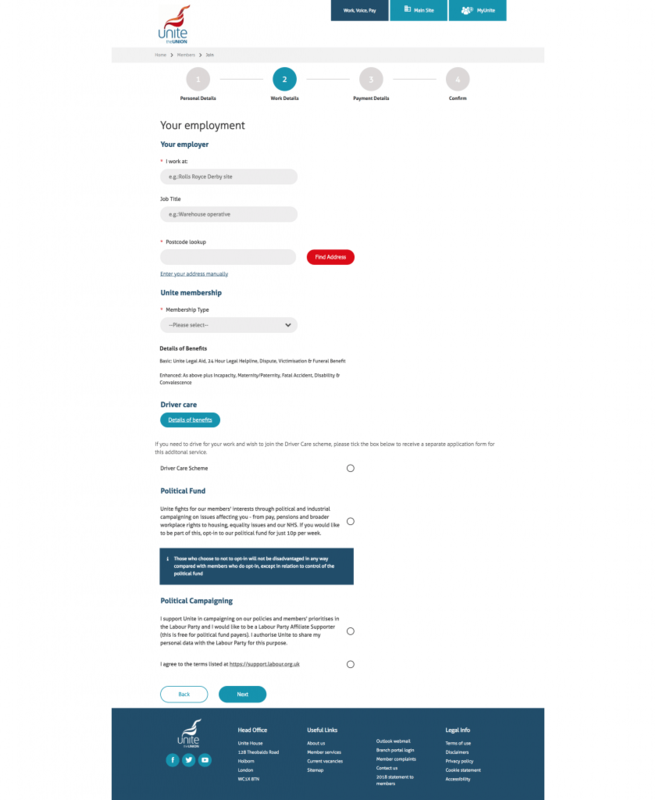 Follow the directions and fill in your personal information and select how you prefer to be contacted by Unite. ‘I work at’ – If you are employed, then enter your employer’s company name here. If you’re self-employed, enter your own name. ‘Job title’ – if you’re an interpreter, enter BSL/English interpreter; if you’re a translator, enter BSL translator. 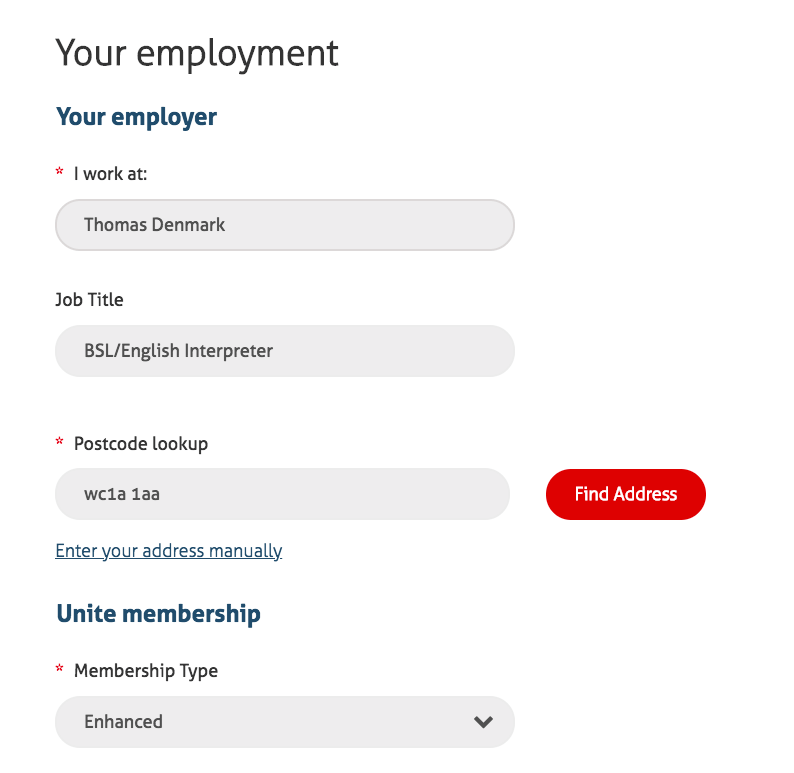 ‘Postcode lookup’ – If you’re employed then enter your company’s office postcode; if you’re self-employed, enter your home postcode. 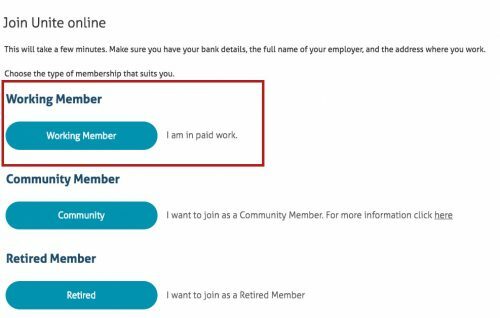 ‘Unite membership’ – choose the level of membership you want. 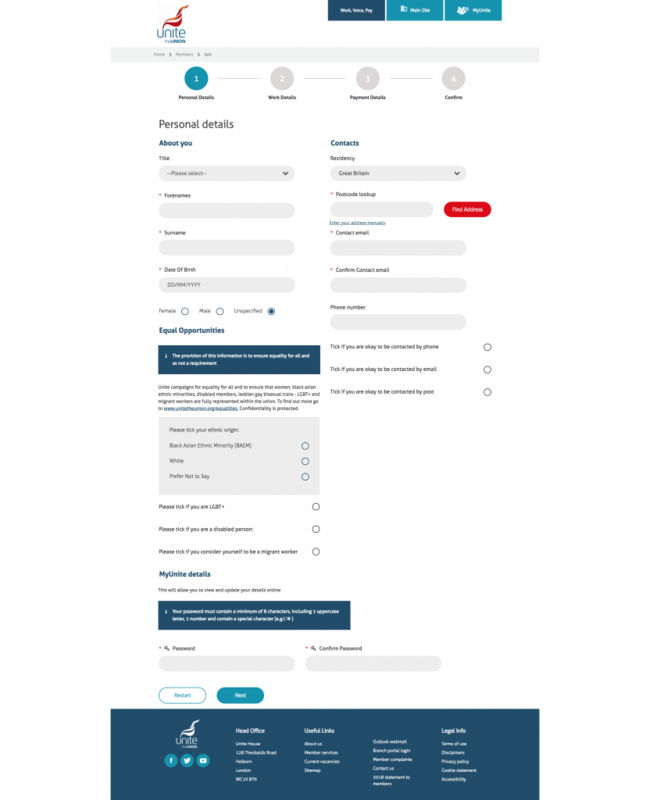 NUBSLI recommends enhanced as it provides access to all Unite benefits. 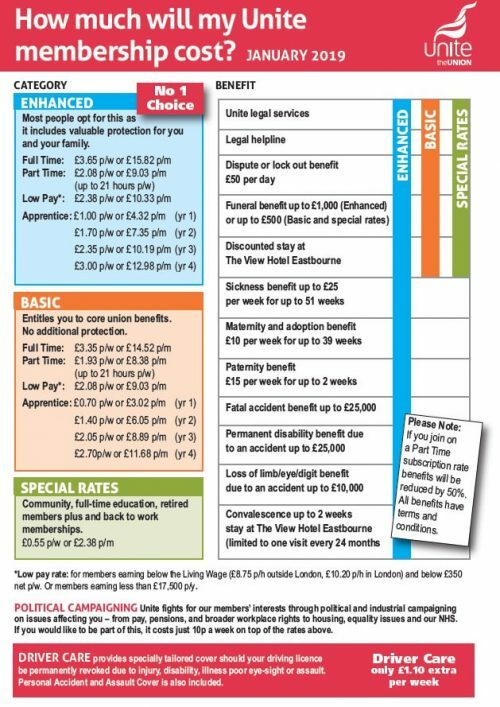 You can find out more on membership types below or view them on Unite’s website. ‘political fund and political campaigning’ – these are optional and you can choose whether you wish to contribute to Unite’s campaigning and to being a Labour Party affiliate supporter. The price of your membership will be shown under ‘subscription rate’. In the area highlighted in red, enter your direct debit payment details and the date you wish your subs to leave your account. Once you’ve joined, don’t forget to send us your membership number so that we can make sure that you are transferred to NUBSLI. We will contact you once you have done this and welcome you to NUBSLI and set up your members’ area login details. If you’re having problems joining, contact us for help.